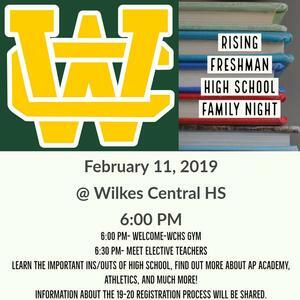 Rising Freshman for the 19-20 school year should plan to attend with their parents our Family Night. 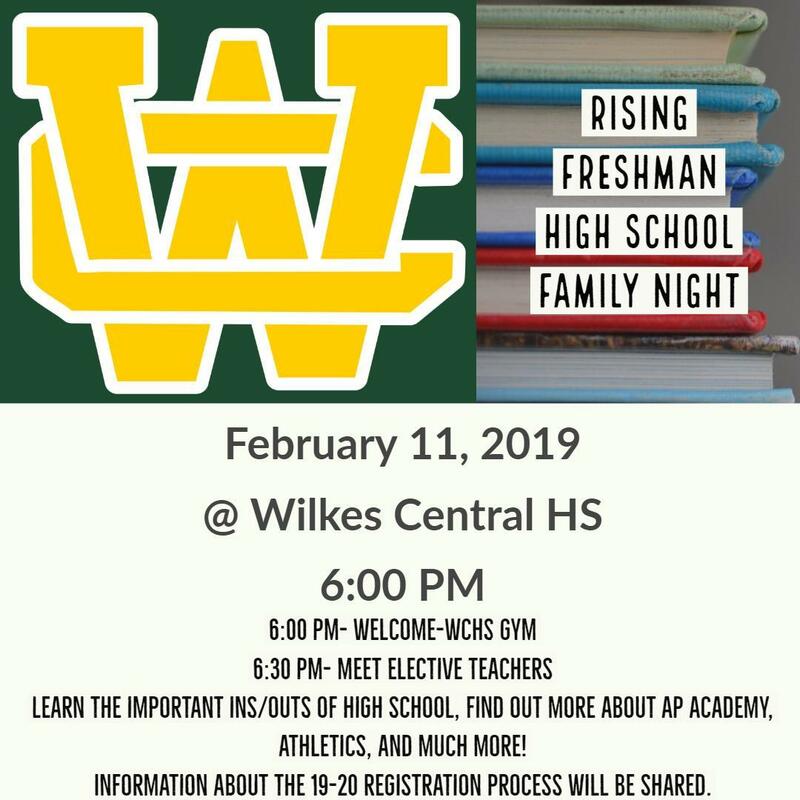 Important information about The Nest and time to visit our elective/CTE teachers will be given. Please make plans now to join us here at WC for this important night.